ShapeFit’s exercise bands are the perfect choice for a full body workout at an affordable price. Exercise bands are great because you can take them anywhere! Simply pack them in your gym bag, suitcase or travel bag and have an instant access to a portable workout. Use them at your house, in a hotel room and even at the office. There is no need for huge and expensive gym equipment taking up space in your house. You can get a great overall body workout with these resistance bands by using our huge database of exercise guides we have available on ShapeFit. Access these resistance band exercises to see exactly how to perform many of the top movements to get into shape and stay fit! You can also use our FitTracker system which is a fitness tracking app to track your workouts and monitor your fitness progress. Using our exercise bands along with our FitTracker program provides the perfect combination for reaching your goals to lose weight, get toned and live a healthier lifestyle! What Are The Benefits of Using Exercise Bands? 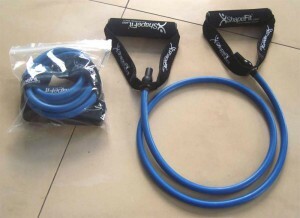 The biggest advantages of using exercise bands are price and portability. For under $20, you have the perfect portable piece of exercise equipment to train virtually anywhere! Another great advantage of using exercise bands is to use them for stretching purposes. If you just want to loosen up in the morning before heading off to work, take the bands and do a few simple exercises to stretch out your shoulders, chest and back. The elasticity of the bands allow for a great range of movement when performing different exercises. 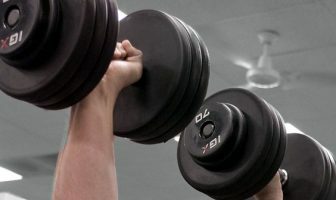 If your goal is to get a full body workout, then you can easily combine a few different exercises into your workout to hit all of the major muscle groups and really feel the resistance as you power through each exercise. We offer a full 30 day money back guarantee with all of our ShapeFit products, so if you are not 100% satisfied with our exercise bands then just simply let us know. We stand by all of the products we sell on ShapeFit.com and our overall goal is to make sure you are happy with your purchase so you can be on your way to implementing daily exercise into your routine which will allow you to start being more active so you can live a healthier lifestyle. By purchasing this product, you agree to ShapeFit’s Product Liability Waiver. See what exercises you can use with these bands by viewing our large collection of resistance bands exercise guides.